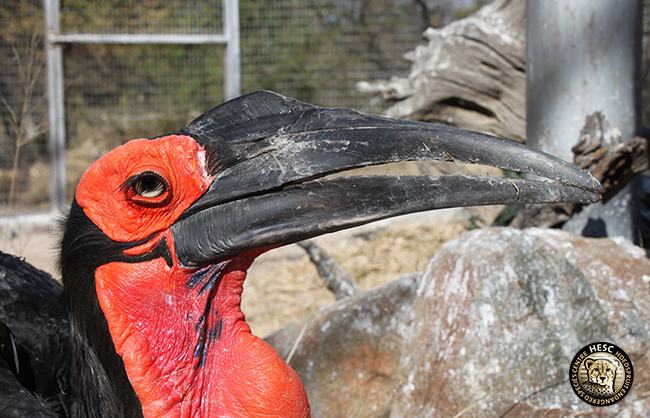 In the wild, the romance between two Southern ground hornbills involves a quick courtship. The male almost immediately chooses his mate for life, and lavishes her with gifts until she accepts. For the female, it’s all about who brings her the biggest gift. 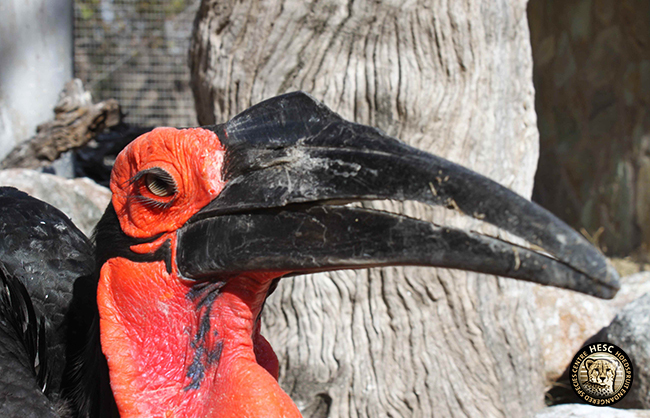 For Gumpie and Skewie, our resident Southern ground hornbills, this courtship has taken a little more time. They may not exactly always be ‘romantic’ towards each other, but their relationship does seem to be working. Gumpie will occasionally bring gifts of twigs, bones or even dead animals to other females, including guides or guests. In Gumpie’s eyes this is clearly not cheating – he is simply being an upstanding and gentlemanly bird citizen in a question to make ladies in the area happy. Skewie does not, however, see it this way. When Gumpy is overly generous to other damsels, she shows him her back feathers, or tells the other ladies to “back off” her man, swiftly appropriating his gifts. 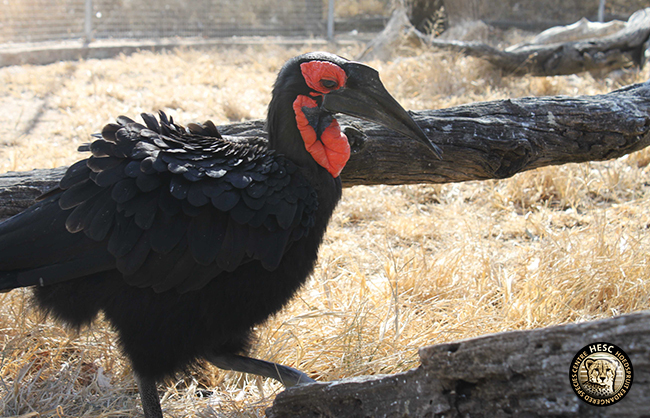 Their relationship has developed exponentially since their first meeting, and we are optimistic that we will see baby Southern ground hornbills flying around their enclosure soon. We’ll keep you posted as to their developing courtship. Ahh the cost of true love…and jealousy and flirting is universal. So wonderful. May they have healthy babies.